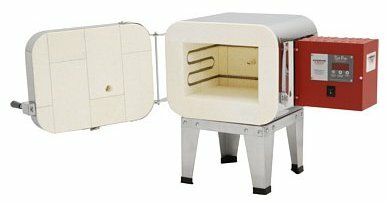 You might guess from the name that this was originally made for copper enameling, but this kiln is quite well suited for glass work, bead annealing or firing Art Clay or PMC. The fire brick construction allows higher temperatures than fiber insulation. 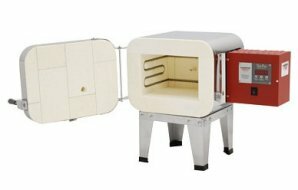 Use this kiln for glass casting, fusing, painting or for firing Art Clay or PMC metal clays - or enamel on copper. 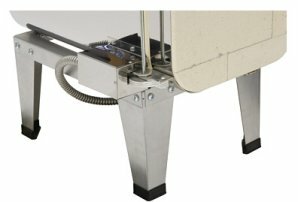 Plus you can store four additional programs with up to eight segments and hold times of up to 100 hours - perfect for glass fusing or bead annealing. Also available with RampMaster 3 controller for those with greater needs. Please inquire. Recommended if you will be opening the kiln to add frit when kiln casting or to manipulate glass slumping or raking. Switch cuts the power to the elements when the door is opened, eliminating the shock hazard posed by the exposed elements. Will not interrupt your firing program. 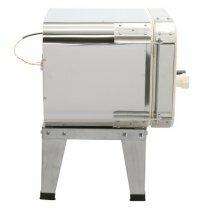 HOW TO ORDER: Copper Kilns are drop shipped from the factory (allow 2-3 weeks). This kiln ships via Motor Freight. 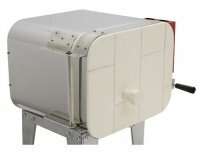 The Sunshine Sales Staff will be happy to help you choose your kiln, suggest helpful options and arrange shipment of your kiln. We have been selling and using all styles of EvenHeat Kilns for over 20 years and will be happy to help you with your selection.